This is a great holiday class for making special Christmas decorations for your tree or to hang from your mantel. 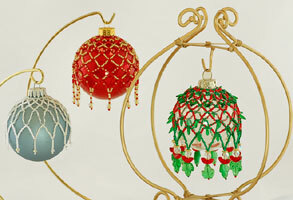 We will be beading around the outside of a regular glass Christmas ball ornament using a simple netting stitch. 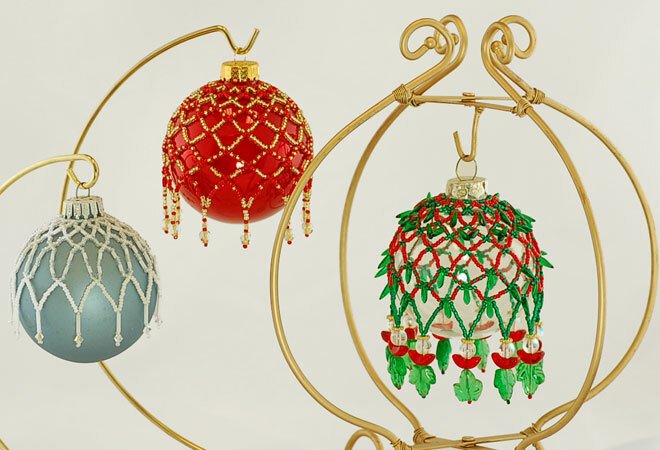 Once you've done one, you'll see how easy it is and will probably want to bead all your Christmas ornaments. For beginners through advanced.